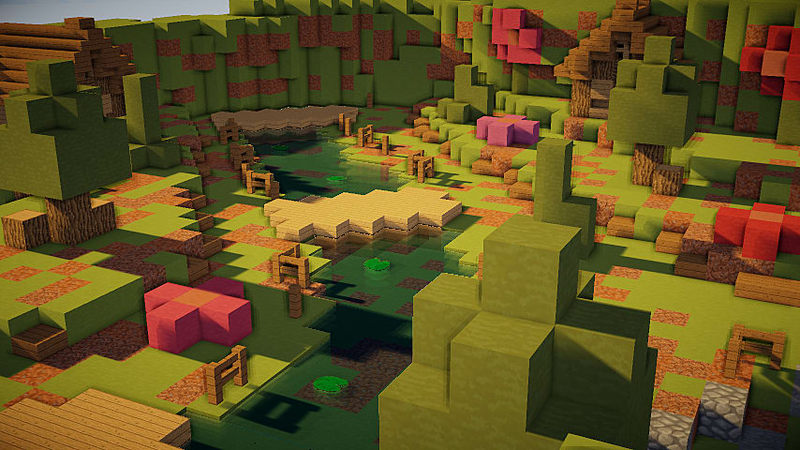 Minecraft has been on everybody's radar since it's very first release back in 2009. Now, seven years later and it's still most of the rage. The community has invented new ways of playing it via mods such as the Playable Atari emulator. Let's have ourselves a look into what kind of other modified minigames the community has to offer. In This classic game of hot potato, you have to pass around a potato and make sure you're not holding it when it explodes. You can play with as many people as you'd like, even if it's just 2 players. There are also a few toggleable power ups placed around the maps for you to use. Download Hot Potato on Minecraftmaps.com. Remember this old tabletop game? 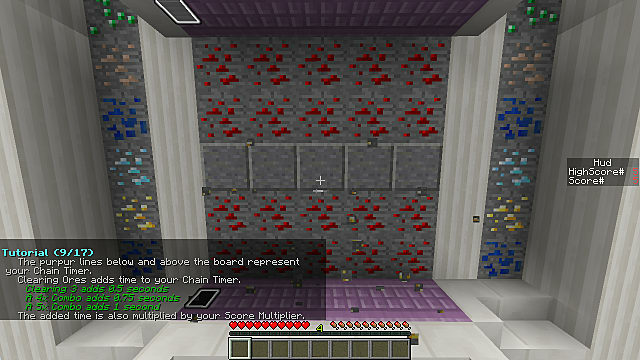 If you've ever thought "I want to play Connect 4 on Minecraft." Well, now you can! No worries about whether or not the other player cheated! Just press the button and watch the sand fall into place. 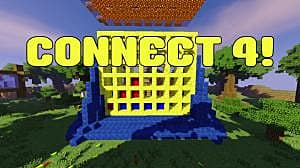 Download Connect 4 on Minecraftmaps.com. A free falling exercise that continuously gives you more and more speed as you dodge the obstacles in this dark tunnel, can you dodge everything the game has to throw at you? Do you ever feel like you want to play something akin to those Facebook matching games on Minecraft? With this, you can! Your goal is to keep the board in lingo for as long as possible, if it fills or empties of ore it's game over. 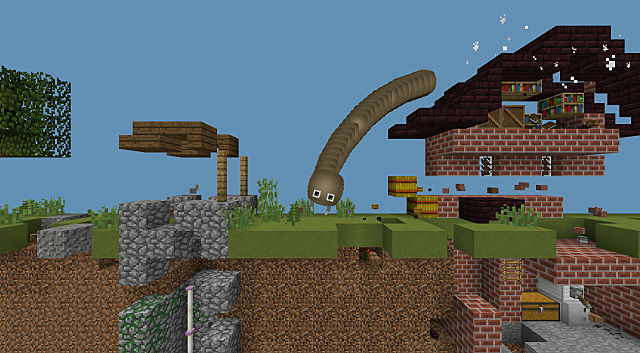 This minigame allows you to play as a giant worm and kill all the enemies in the level -- basically you play as a cartoony version of the monster from tremors. However, you can only control the worm while in dirt, so you have to be clever with how to handle the other enemies. 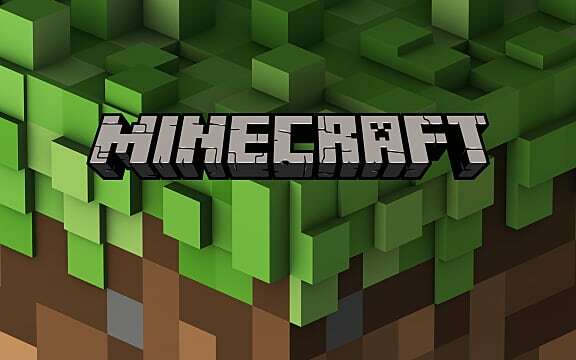 Download Destructive Worms on Minecraftmaps.com. Pig Shootout, which is basically a shooting gallery, you have to stop any pigs from reaching the end or it's game over. Hide and Go Pig, which is hide and Go Seek in a maze made of bales of hay. The maze is chosen at random, so there is a fresh experience every time. Finally there is Invasion of the Barley snatchers, which is having to find and kill seven pigs hidden throughout a village within the allotted time. Note: You can upgrade your weapon for faster bullet velocity. Download Man vs. 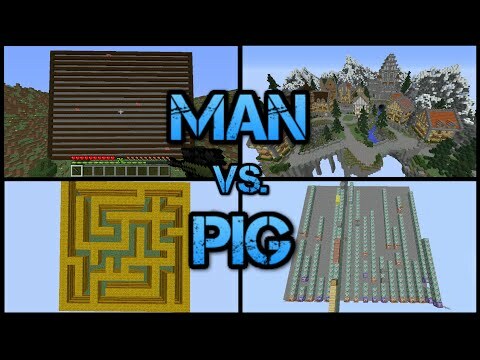 Pig on Minecraftmaps.com. This minigame utilizes a pair of gliding wings that you use to glide your way through a series of obstacles and tunnels. It is somewhat reminiscent of the Spyro series, and there are three parts. Can you finish each course? Download Elytra Flight Challenge on Minecraftmaps.com. This minigame is a lot of fun with friends! You are given throwable items that will summon blocks that come down and squash your opponents. What's really cool is the fact that if a game goes on for a long time the arena is just constantly changing, providing cover, towers and the like. A strategist's dream -- or nightmare depending on how you look at it. 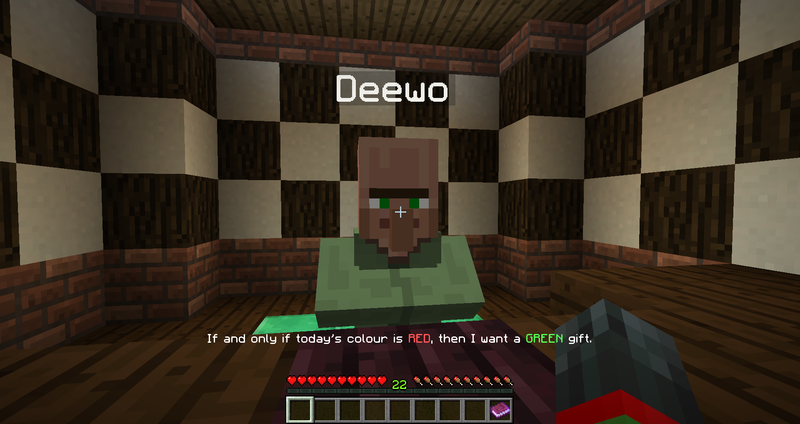 In this minigame you must give different colored gifts to elves who request a random gift, but incidentally they speak in riddles such as "If and only if the color of the day is green, I want a red gift or a blue gift." This can be played with as many people you want, even by yourself. However you should not exceed four players if you don't have to as cooperation only stretches to four people, all the extras would just be brains. 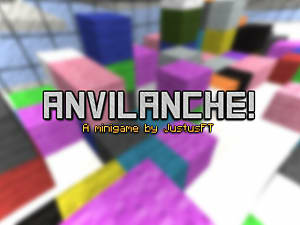 That's it for now, we hope you really enjoy these minigames, and enjoy your holidays! If you have any favorites that you would like to share, feel free to talk about it in the comments!